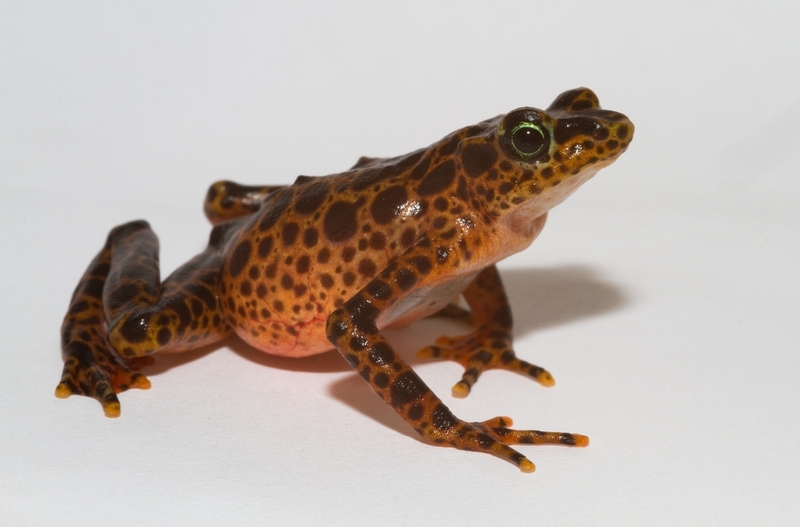 This female harlequin frog (Atleopus limosus) is the only female of her kind (the highland variation) that the rescue project has in captivity. There’s something almost sublime about her and it’s not just the way we angle the light during her photo shoots. 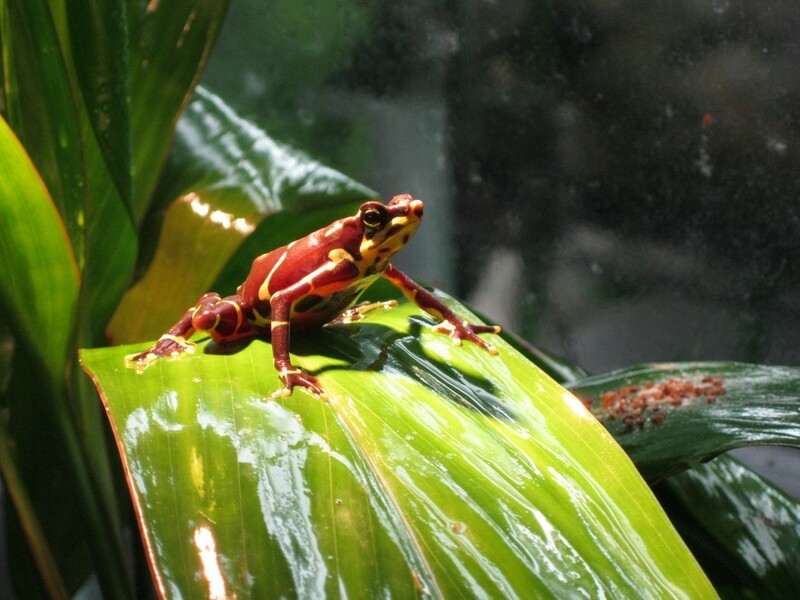 She’s of the highland variation of Atelopus limosus, a harlequin frog from Cerro Brewster, and she happens to be the only female of her kind that we’ve got in captivity. Before I left for Panama, I already knew about her and to be honest, to be perfectly honest, she was the frog at Summit Zoo I was most looking forward to meeting. I’m not sure what I expected. She’s certainly a beauty, but in my opinion, most frogs are. Did I expect her to indicate, in some way, that she understands the significance of her position in the Universe? And if I did, what did I expect that sign to look like? A knowing nod? A regal posture upon a bromeliad? An extra quick flick of the tongue? What I do know is that every time I’ve had to open her tank over the last few days, to clean it or to take her photo, my heart has started racing. I imagine her escaping, getting hurt or getting lost, and taking with her the possibility that the rescue project will be able to save these dark brown frogs with striking green chevrons. The frog keepers at Summit Zoo must feel the weight of this responsibility every day with every frog in their care. I’m not sure I could handle the gravity of that responsibility with the same level of grace that I’ve seen in them. The reality, of course, is that one female isn’t going to be enough to build a genetically diverse population of these frogs. 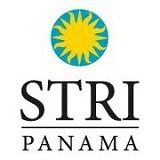 She was one of the frogs the project collected last year from Cerro Brewster in Panama’s Chagres National Park, where chytrid had spread rapidly, surprising (and, I think, momentarily devastating) our researchers who had hoped to beat the wave of the disease there. We haven’t stopped the search and we hope to find more females to add to our ark early next year. 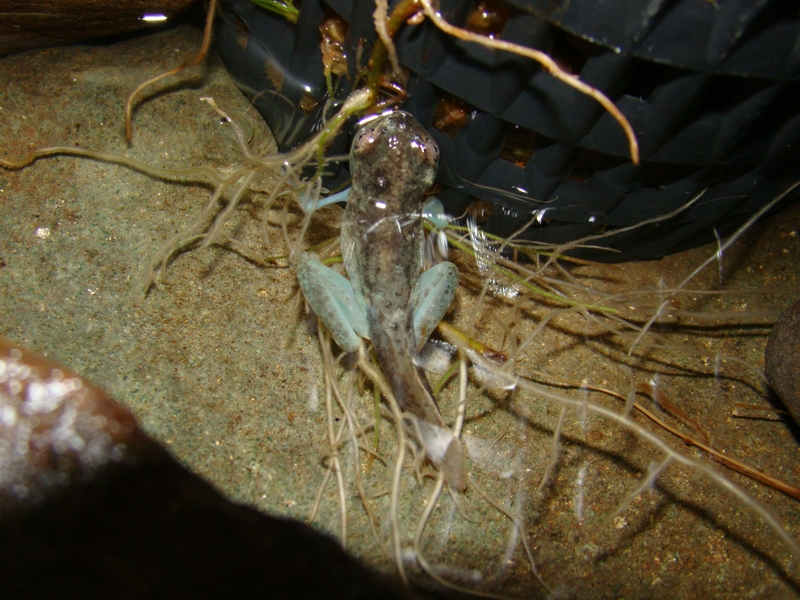 The project's first group of tadpoles belongs to the lowland variation of Atelopus limosus. 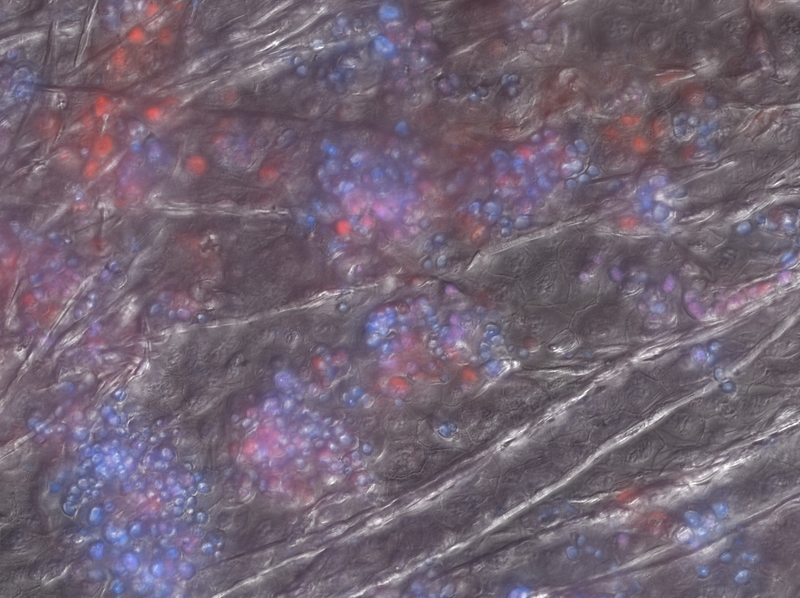 Hope is really what drives the project. And really, how can it not? 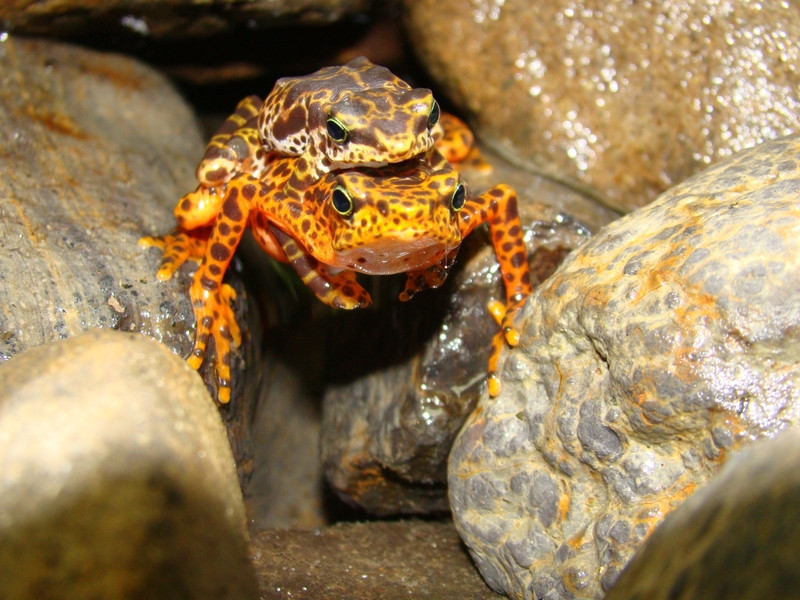 The situation may be dire, but there’s a song of hope in the call of one of the project’s male Harlequin frogs of the lowland variation in a tank in the middle of the rescue pod. There’s hope in the adorable adolescent Toad Mountain harlequin frogs (Atelopus certus) in tanks at the front of the pod. There’s hope in the far end of the rescue pod where a large tank holds what may be hundreds of tadpoles—a first for the rescue project. 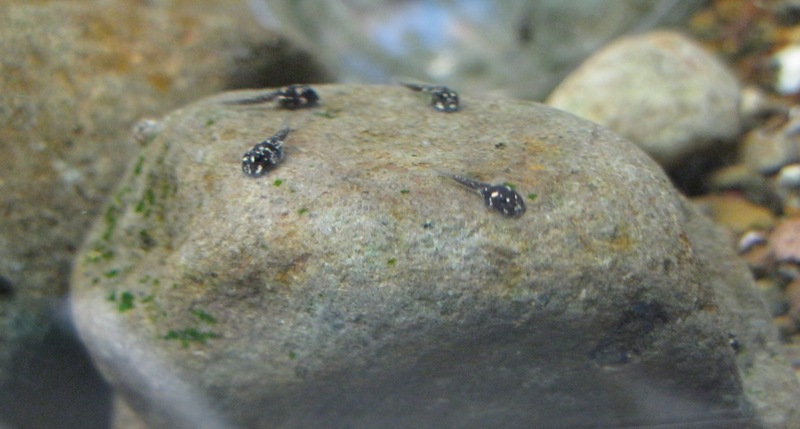 The tadpoles are not the highland variation of the harlequin frog, but the lowland variation, which is less threatened than their more colorful counterparts. Still, each step toward successful breeding marks a victory for us and provides an encouraging boost. 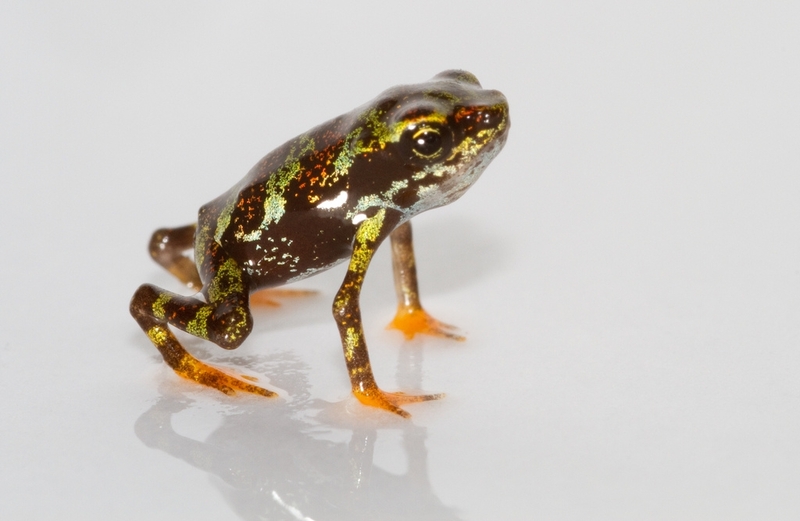 And perhaps that is what accounts for the sole female Harlequin frog’s seemingly ethereal beauty: in part because of her, we still have plenty of hope.